I’ll never forget the first time I unraveled my first surprise ball. My smile only got bigger and bigger as a glorious pile of brightly colored paper started to form after more and more wonderfully trivial prizes were revealed. By the end, I was left wanting more. So obviously, I had to figure out how to make my own so that I could share the same joy with my friends. Hope you enjoy making these as much as I did! Prepare the supplies by cutting the fine crepe paper, lengthwise, into three 1″ strips per color. When picking out the toys, candy, and surprises, be sure to select an assortment of sizes from larger round shaped items to small flat items. Start by wrapping the largest item. Work in a criss cross pattern to cover as much surface area as possible. After reaching the end of the first strip continue adding 2 more strips of the same color. Put a small dab of glue at the end of the last strip and seal. Add another larger item and continue wrapping. Add another item where there may be a space for it – start thinking about where to properly place items in order to form the shape of a ball. Continue adding items and wrapping . . . The ball should be taking shape. Save the smaller, flatter item for the last few wraps. 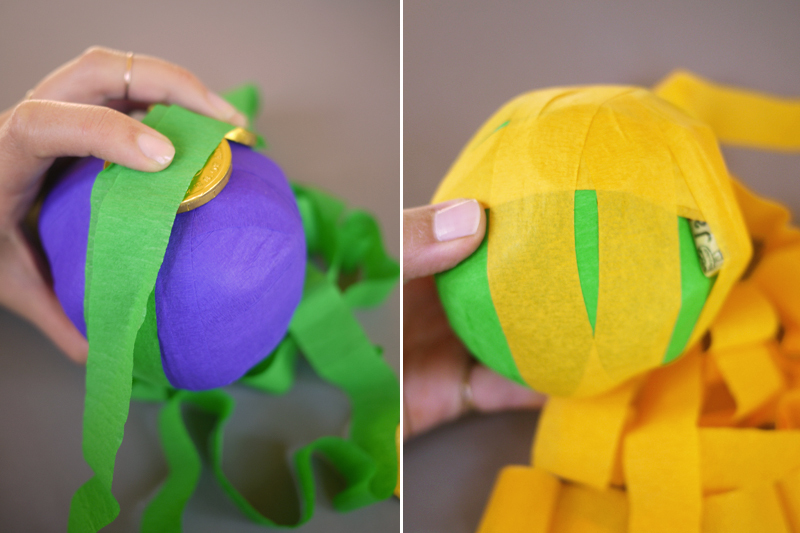 Once the ball is finished, decorate the ball with thinner strips and dresden trim. And you’re finished. 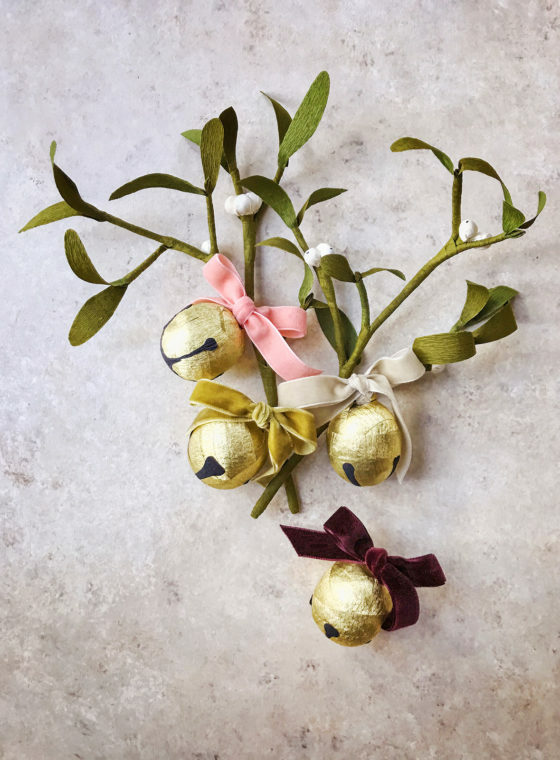 They are perfect to stuff stockings with, to give guests as party favors, or to pass around at dinner parties . . . but honestly, does there need to be an excuse to gift someone a surprise ball?! Wonderful idea! We traditionally do crackers, but I’m thinking this would make for a fantastic change of pace in this year’s stockings! This is amazing!!! I want to make these! I will make a gift wrap like that definitely! Love, love, love this post! 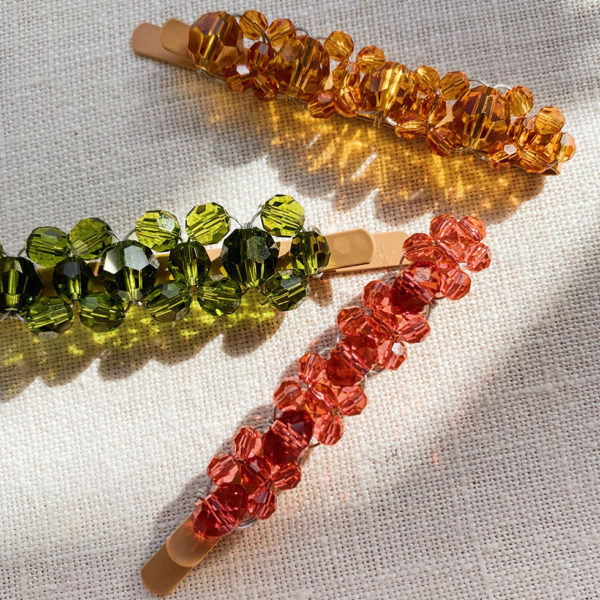 You always have the best craft, arty, accessorizing tips! So cute. Really great idea. Looks so nice. Have a great day. amazing idea!!! I will do it!!! This is such an amazing idea..looks like it may take a while but I am doing it! Nothing better than unwrapping a bunh of stuff..lke a stocking only in a ball! I love this idea! And its so simple. Definitely something i want to try! Super adorable and what a great idea in lieu of a stocking stuffer. Off to get some goodies!! I love this! My kids have their birthday in two weeks, I’m so doing this! Much more fun than wrapping paper! Such a cute idea!!! <3 this idea. 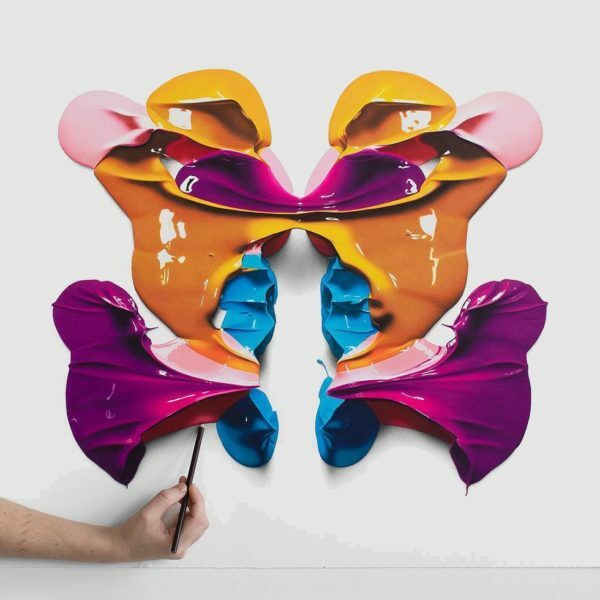 Love this, going to make a stop at the dollar store for crepe paper. i think i just found my first christmas craft of the season. Wow! Pound shop here I come, this is a great Christmas craft idea! SO FUN!!! Will be doing this!! What a great idea!! I must give it a try this year for Christmas Eve dinner. The kids are always asking if they can open a gift on Christmas Eve and I think this beauty of an idea would satisfy them enough to hold on until Christmas morning! Oh my god – I LOVE this!!!! This is SUCH a great idea!! I am def going to make these for my friends!!! Me encantan ¡yo quiero una! What a fun, festive thing!! I love this!! Great idea for kids and grownups!! wtf…you NEVER disappoint. Love these and will totally share this link with our readers. this is a great idea!!! i love it!!!!! pretty good idea i really like it! This is amazing, I’ve never seen something like this. I will most definitely try it this year! Woo Hoo. Now I know what to do with all that treasures I got at the Dollar Store and all those Happy Meal toys. This would be awesome for a little bag of catnip in the middle! For the cat, of course. 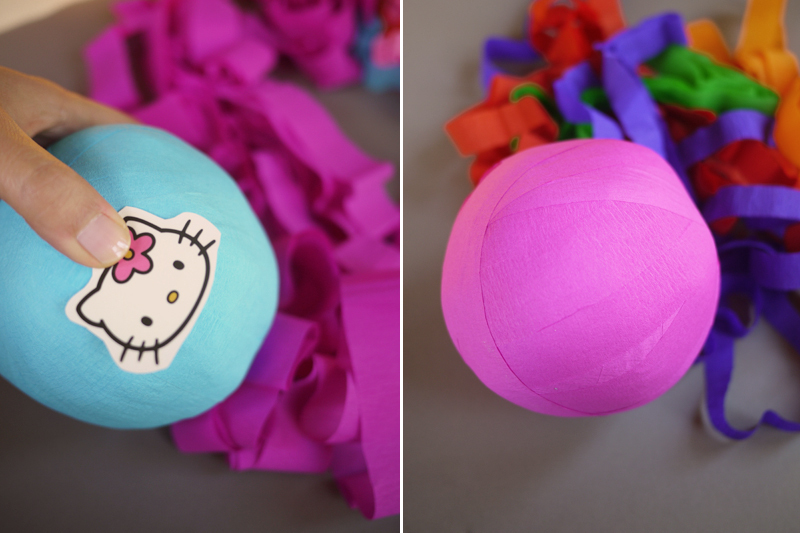 Just do a smaller ball – not HUGE – and kitty will have tons of fun shredding it to bits to get to the fragrant middle. Instant (disposable) cat toy!! 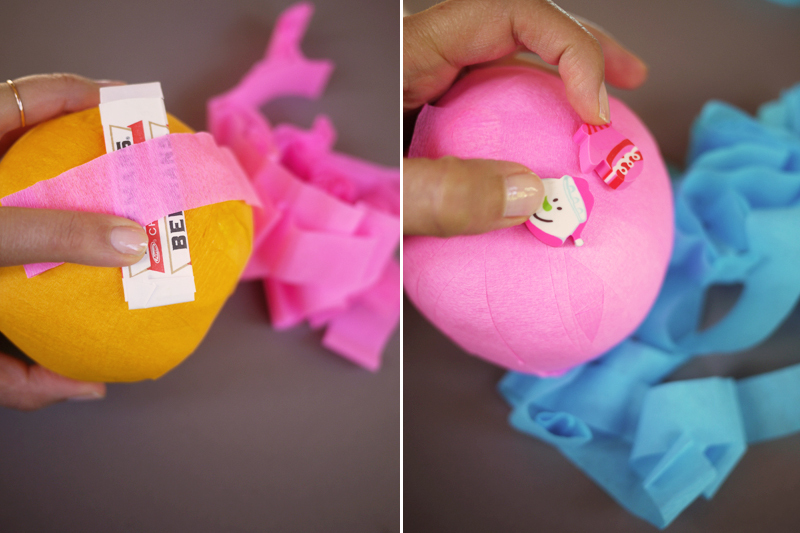 Instead of something pointy to do the last seal, you can glue a felt mouse to it or other cut shape. Vacuum cleanup is easy! Oh yeah, it’s a great idea for the original intent as well. 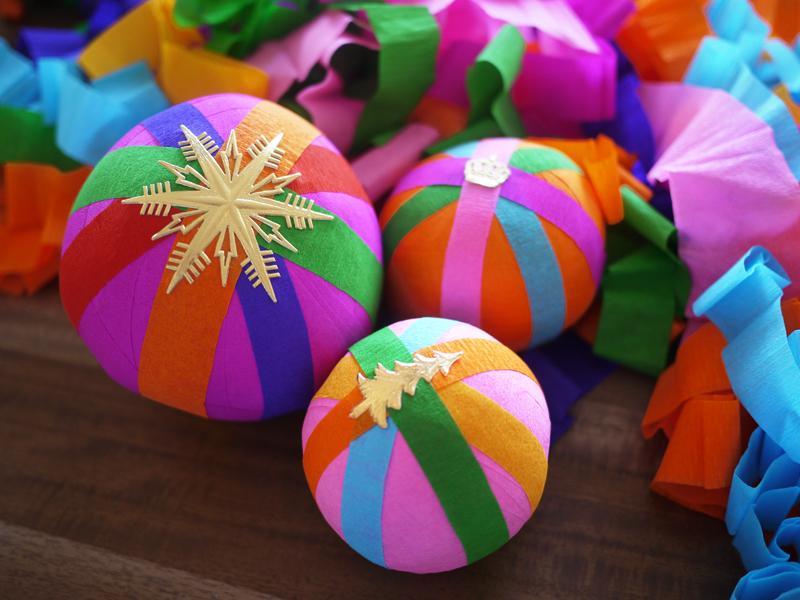 I love these balls, so fun and festive! This would be so cute for kids! 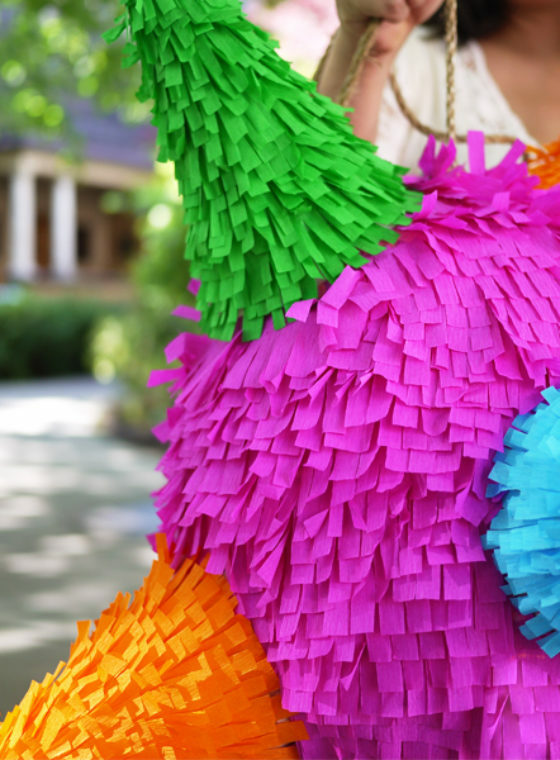 What a fun idea to do for any party! Especially colour themed or retro ones! 🙂 I’m so trying it out. Thanks! I remember..way, way, way back when I was a child in the 50’s that I would save up a whole quarter to buy a surprise ball! That was lots of money then for a child so you know it meant lots to me! The price would be something silly like a simple play ring but the unraveling was the best part of it all! Thanks for sharing. I think I will start this tradition with my grandson this year so he can have such sweet memories! Are these not the most fun to do. I think I will have to remember to this for a great friend of mine. She would love it. Thanks for sharing. So adorable! I would love to receive these as stocking stuffers, I will try a version on my own. Thanks! I’ve never even heard of surprise balls, but this is way cute. Not to mention affordable, fun, and original! Briliant idea. How come I have never though of that. Definitely will do it for Christmas. Cute balls. Love to make this. I’m he one being assigned to organize our christmas party. ANd thanks to this! What a great idea!! I’ve never seen these before but I’m definitely going to try doing them for an upcoming party! Thanks! This is so fun! My kids would have a blast ripping through these during the holidays! I sense you just added another link to our developing chain of holiday traditions. What a neat idea! I’ve never received a “Surprise Ball”, this would be such a nice treat for my younger brother and nephews. Thanks for sharing! Until this very moment I had neither recieved a surprise ball nor knew what it was. I feel so unloved 🙁 I want to get one but i guess I’ll have to make it for myself. I love this! I am definitely putting these in my siblings’ stockings this Christmas! So fun! 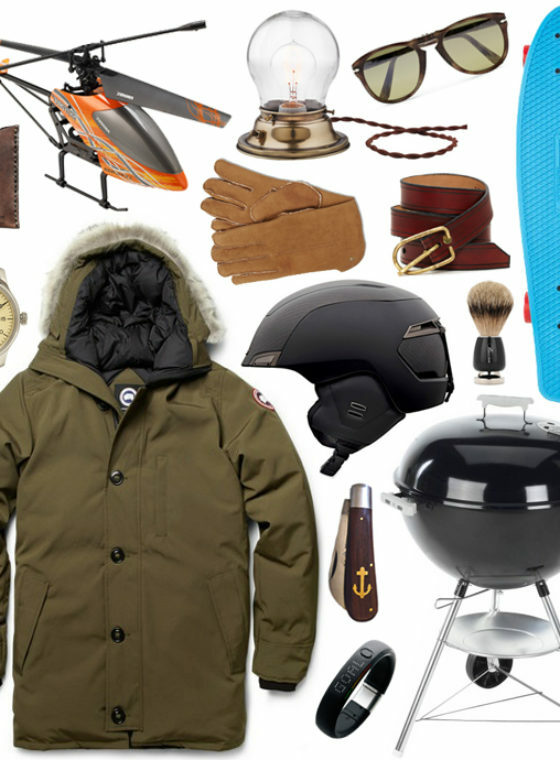 These are awesome Christmas gifts! I love’em! I love this idea! May try these for Christmas Eve; we are hosting and the kids would love these! Thanks for posting. WOW great idea to gift something! I love the unique little goodies that are in the surprise ball shown! My dollar store doesn’t have anything nearly that cute. 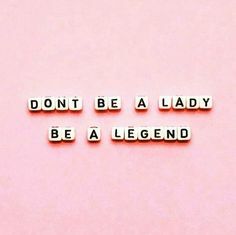 Any suggestions about where to look for some fun surprises, especially those that have a more vintage feel? @Jennifer try Powell’s – they sell nostalgic candies and toys online. I made these for my friends wedding, as there where lot of children, it was one of the best ideas how to concentrate children in such event…. they had lot of time for playing. I have been having a hard time lately. I saw this and it made me smile. i might try this. Wonderland! I noticed this page recently and I’m so sorry for being late. wow this really made me feel warm and fuzzy inside, my friends are gonna DIE when they get these! theyre amazzinnggggg. ahhh i cant wait to make these! likewise ive never heard of surprise balls like many others but im so so so happy you brought it up. Your take on surprise balls is beautiful. I love love them and I am surely making my own this year. Thanks! LOVE these!! Thinking of so many fun ideas to use them for.. kids’ class party craft (5th grade), Stocking stuffer, white elephant gift. Thanks for the tutorial!! this is so amazing!!! <3 <3 <3 definitely doing this!!!! What a wonderful idea! Question about crepe paper. You suggest cutting crepe paper lengthwise into three 1″ strips. All of the crepe paper I’m seeing is about 2″ wide. Cutting an entire roll of it in half seems so tedious! Any suggestions on where to buy 1″ crepe rolls? Will a 2″ strip work as well? @Elleen I’m using crepe paper sheets. I think a 2″ strip might work however. It’s worth a try! I made these for all of the kids in our family last Christmas. It gets a bit tedious if you’re making a lot of them. 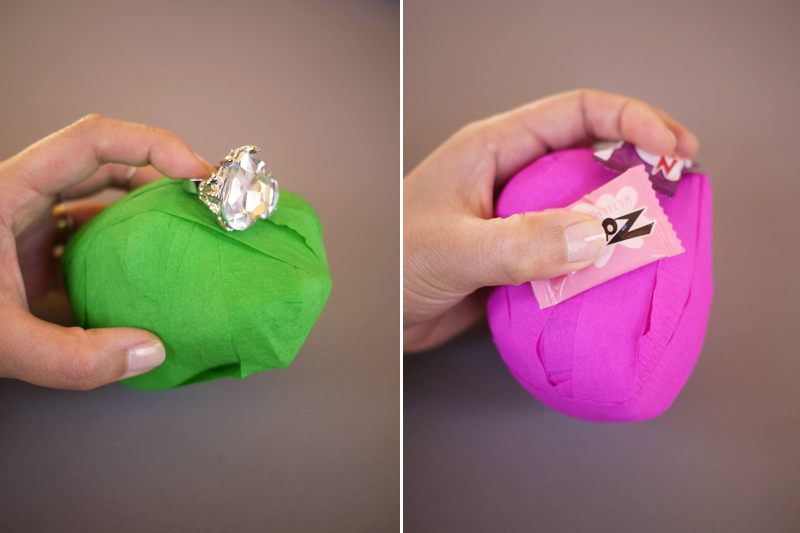 One thing that I found helpful was occasionally using a full sheet of tissue/crepe paper wrapped around the ball and then adding more strips on top of the tissue paper. It really helped when I needed to even out the shape of ball or if I had something that was ripping through the crepe strips. i made these over the weekend…almost 30 of them (oy my back)! they turned out great, though not all of them were round as i used army parachute toys for the middle of some and didn’t quite have enough things to even it out. but whatever–the point is the unwrapping!! 🙂 giving these to the kids i coach, who i am sure will get a kick out of it–thx for posting such an easy and fun diy. These are really great! I have used this idea for my children’s birthday parties. I have used old ribbon, lace and wrapping paper when I made mine. The crepe paper is even better though. The colours are just so much fun. Both the adults and the children love them! You have done a lovely tutorial. We will be making more for this years New Year’s Party. I made these for the whole family and it was SUCH a hot. Everybody had fun unraveling them, and I so loved watching them do it! Thank you for the idea! I did this for a kris kringle this past holiday. I customized the ball by using gifts I thought my kk would use/enjoy, instead of one time toys (I thought of it as a substitute for a stocking). I included mini altoids, a pair of lace underwear, a mini spoon from sur la table, one small gourmet chocolate truffle, wool socks, a quote from my kk’s favorite poet, and a mini domino w her favorite number. It was a complete success! Thank you for the tutorial! We used to buy these surprise balls at Hemphill Wells Dept store in Lubbock Texas in the 50’s always wanted to make them now I will. Hey! wtf? :) These are absolutely adorable!! The older I get, the harder it is to think of good gift ideas; so, I often buy lots of little gifts and hope that the receivers will like at least a thing or two. 🙂 Though I appreciate most anything done for me, I feel a little lazy using gift bags, & good stockings can be pricey. Thank you thank you thank you for this option!! P.S. I wonder: to avoid having to cut so many strips, could the thinner ribbons be used just on the visible outer layers? 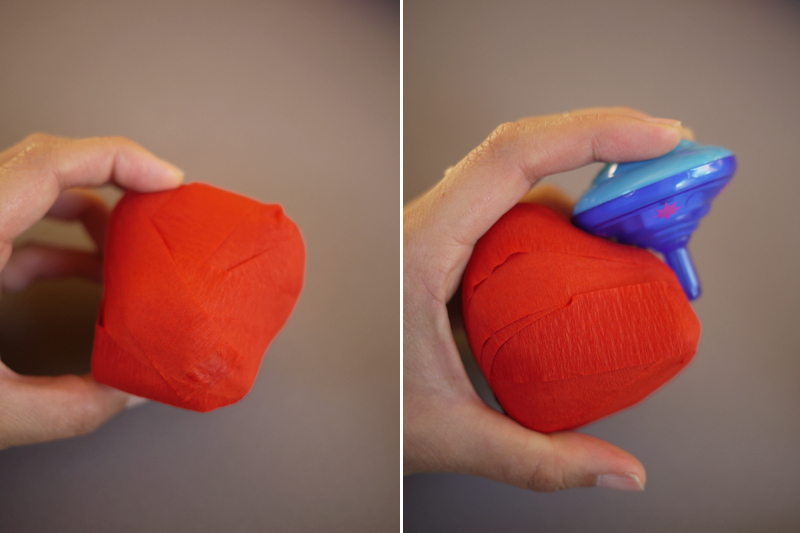 Inner layers might turn out less pretty, but could that save time and tears (and tears:)? Maybe even help with getting a ball shape faster? Anyone know? Thanks in advance! I found this site while writing a poem. I wanted to find the name for the crepe paper balls my parents used to bring me when I was a child. I loved them. I was the kind of kid who unwound each strand carefully and examined each prize. I love the internet. Here they are–surprise balls. I will make them too. Love this. Going to make for soldiers box. And also kidling. I got one or two of these as a kid! I’m 71 now and have never forgotten how much fun the anticipation can be! I won one of these at church 60 years ago. It was so much fun. Hadnt thought of it again until lastnight and searched and found this link. Now I can share this memory with my Grandchildren. Cant wait to make them. What a wonderful ornament to unwrap off the Christmas tree!!!!!! I make these for nieces and nephews every year. Mine turn out sort of bigger, like around 8 to 10 inches, because I usually put a larger item in the center to start it off – it’s surprising what will fit in there, it gets really compacted by the outer wrapping. I’ve put knit hats, balled-up PJ pants, and small stuffed animals in the center. Gloves and pairs of socks are really good for helping with the roundness too, as you keep wrapping. 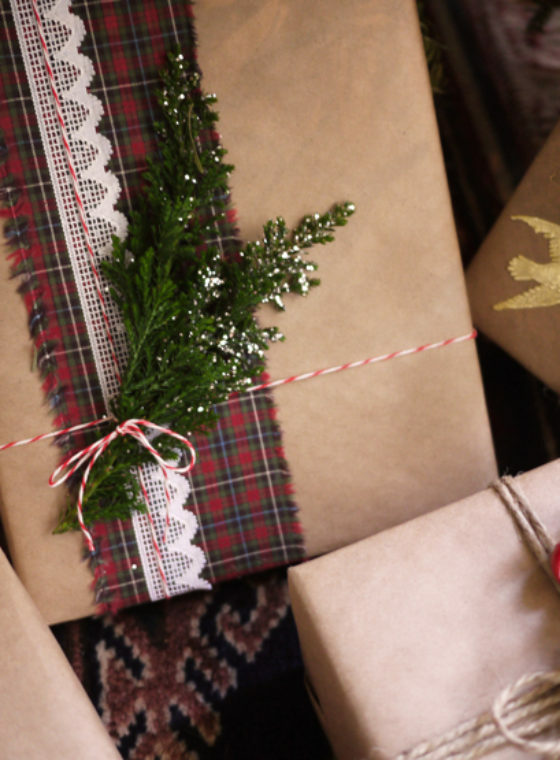 I suggest putting a sticker or tab of paper or tape or something where the end of the wrapping is, so kids can easily know where to start unwrapping. P.S. 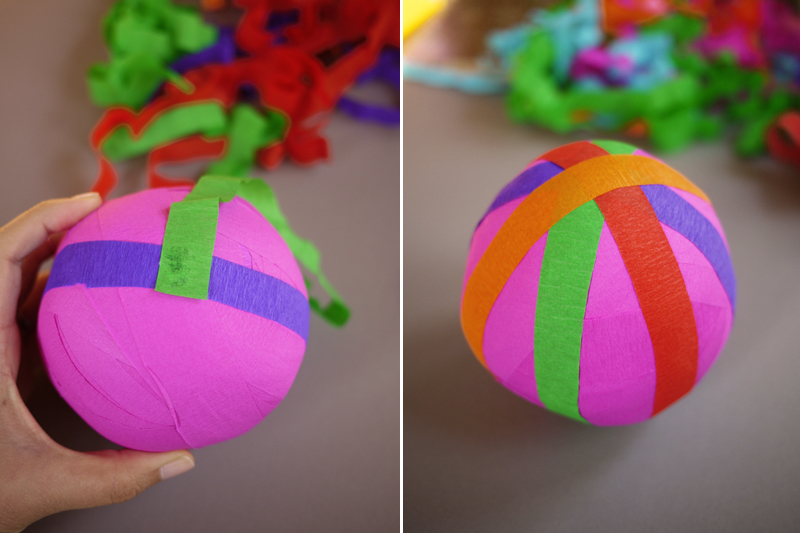 when I make the bigger balls, I don’t cut strips, I just use the crepe paper as is. we do this every Christmas but as a game for everyone in the family. For the bigger prizes I wrap in funny wrapping paper. I put in notes that say give to the right,tops across from you or go left and so on. It is fun and if we have guests that we never got a gift for this is great for this. T is fun!!!! Also builds unity and makes fun memories. In the instructions is says…. Prepare the supplies by cutting the fine crepe paper, lengthwise, into three 1″ strips per color. It is 1′ (1 foot not 1 inch) three 1′ strips per color. In 1965, I was newly married and my husband was still in graduate school. Money was scarce so I made surprise balls for my younger family members. They were a hit and are still remembered to this day. Balloons, small whistles and stickers fit easily. It really does not matter because the fun is in unwrapping the ball. Wish I had thought of it this year for the 18 grandkids! !